Nothing is as bad as an animal that only knows suffering. In such cases, I am so thankful for veterinarians that help sick, hurt, and abused animals, and for the volunteers that pluck up their courage to help out when no one else does. The following pictures are pretty difficult to look at, so be warned. 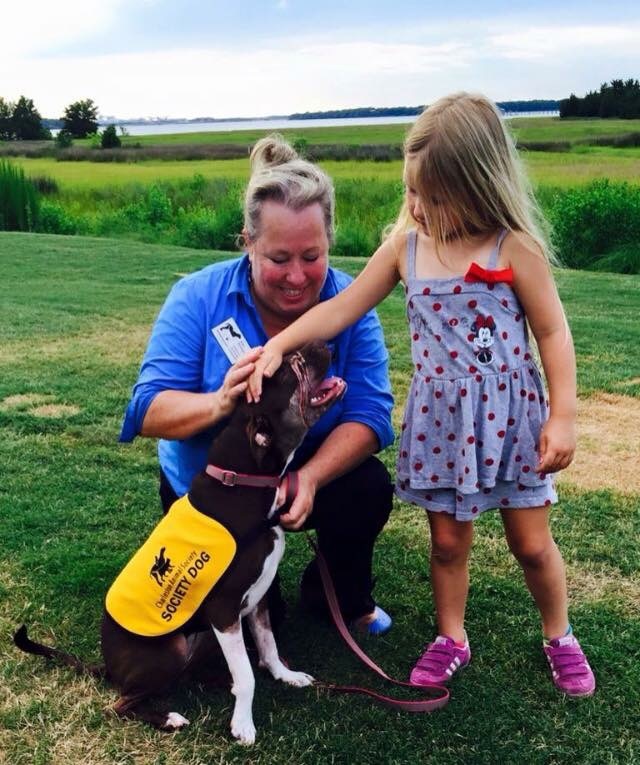 Back in May, 2015, Caitlyn was a 15-month-old Staffordshire terrier living on the streets and in a very pitiable condition. Locals knew her and often fed her, seeing the sweet little dog as a welcome guest. 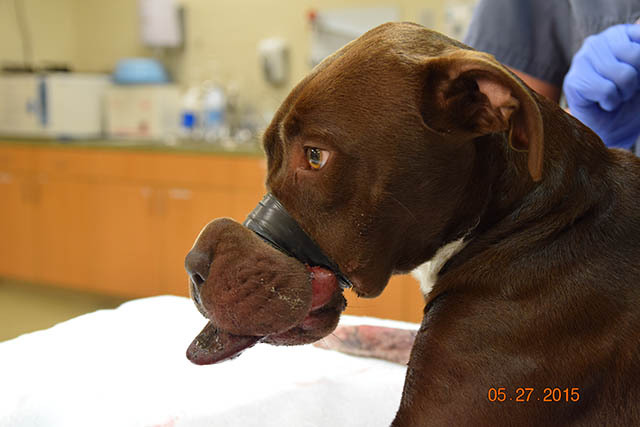 Unfortunately, she was caught in the clutches of an animal abuser, who wrapped a long piece of packaging tape around her snout. It cut so deep into the sensitive skin near her mouth that the circulation was cut off. 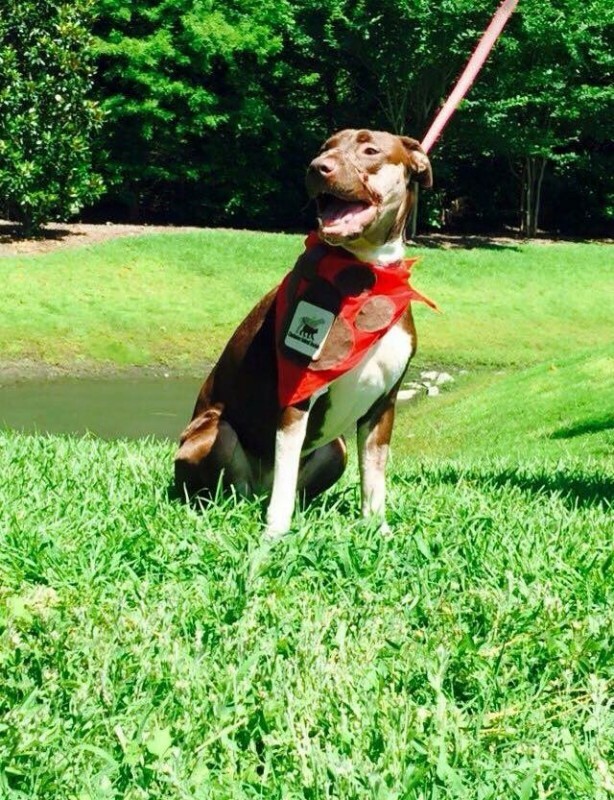 The suffering dog wandered the streets for two long days until someone found her. At this point, she was in a very unfortunate condition. Locals brought the badly injured dog to an animal hospital. A preliminary examination revealed: the circulation to her tongue was so poor that the tongue had become black, swelling the front of her snout completely. 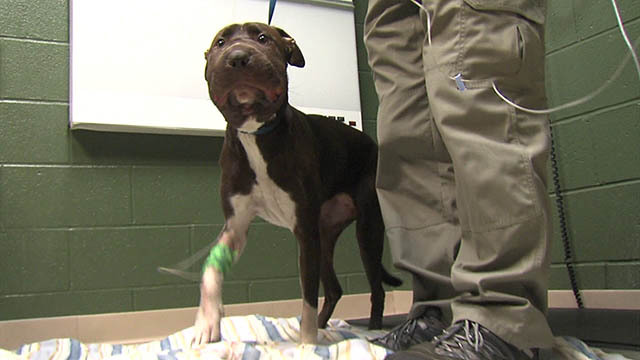 Caitlyn was in a critical condition and her case was classified as the highest class of animal abuse. Police even put out a $6,000 reward to find the culprit so he could be arrested and taken to court. 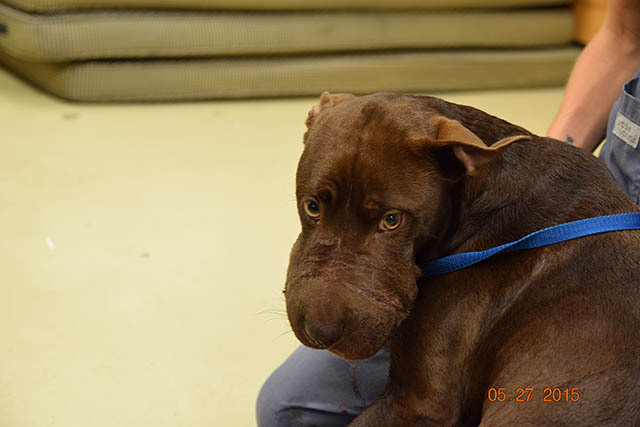 Caitlyn in the meantime was taken in by the Charleston Animal Society and cared for there. 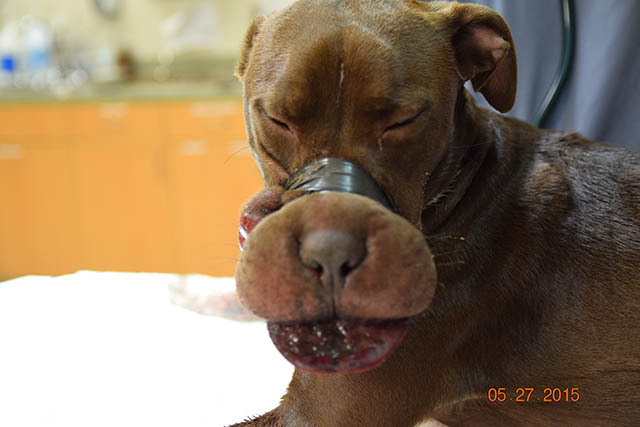 Her lips and tongue had to be treated with laser therapy so that she could eat without pain. 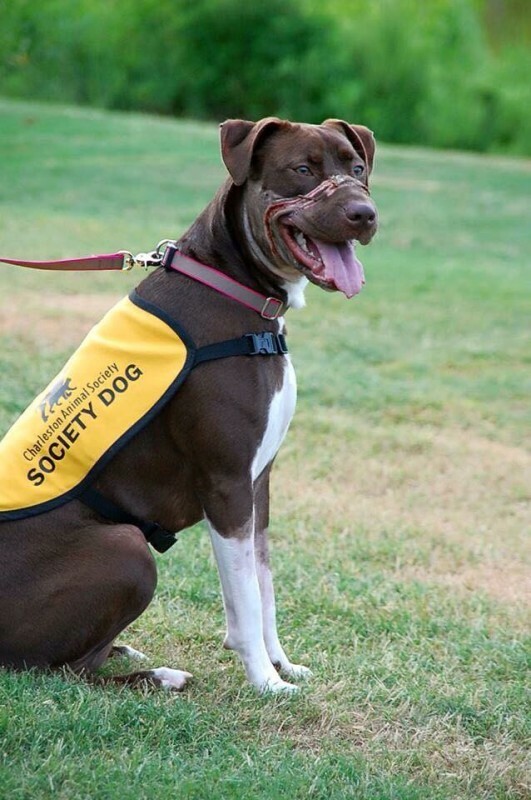 Even though Caitlyn’s condition was still critical, the therapy began to have a positive effect on her. Her swollen snout slowly began to heal and her tongue started to regenerate. 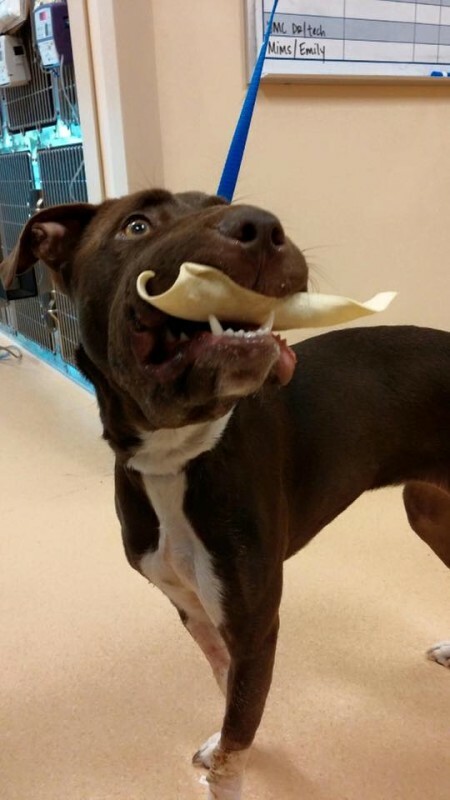 While Caitlyn continued her therapy, authorities managed to find and arrest the culprit. 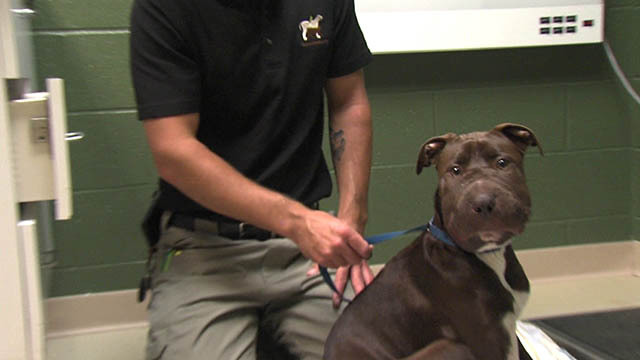 His bail was set at $50,000 and Caitlyn’s clinic reacted to this by saying they hope “Justice is allowed to run its course.” Caitlyn was allowed outside once again to enjoy the fresh air. Nevertheless, her wounds were still considerable. 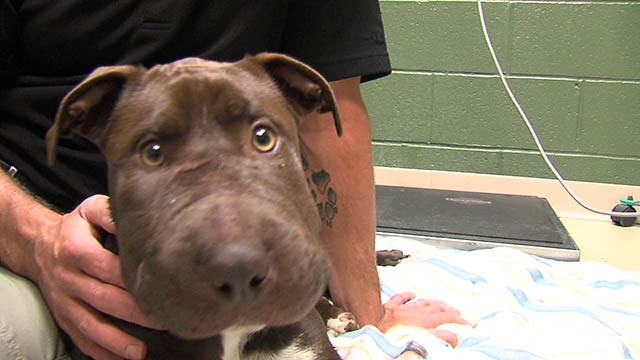 The scars on her nose showed the torture she had to endure. But her new friends and vets cared for her lovingly and she was fortunate enough to find a wonderful family to adopt her, where a happy future awaited her. 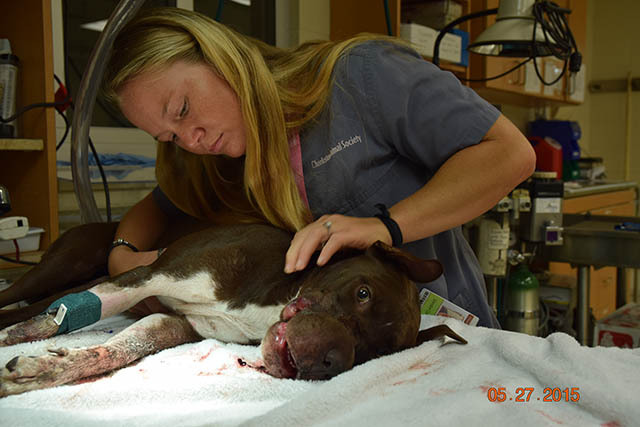 Despite such brutal treatment, Caitlyn recovered marvelously. Her story spread around the internet at the speed ofLIGHT and she became somewhat of a celebrity. Hundreds of people also donated to her cause so that the clinic’s costs could be covered. The amount of money raised was so considerable that the surplus was used to help other homeless animals at the clinic. Caitlyn did it. Look at that happy face! When you consider the torture she had to endure, her recovery is hard to believe. 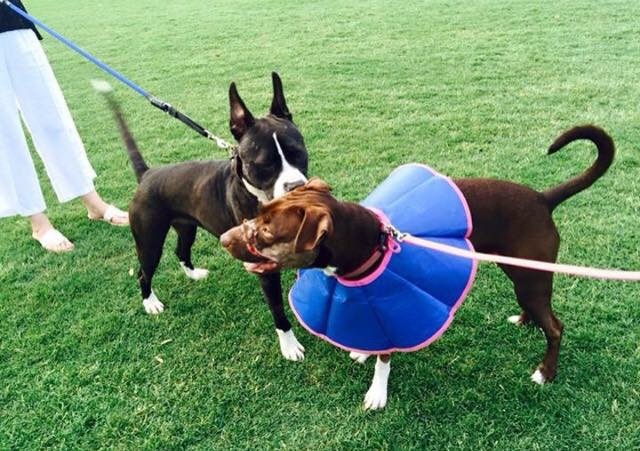 Let's hope Caitlyn continues to prosper and can lead a full and happy dog life.